On its own, the book isn’t amazing, but I did enjoy it. 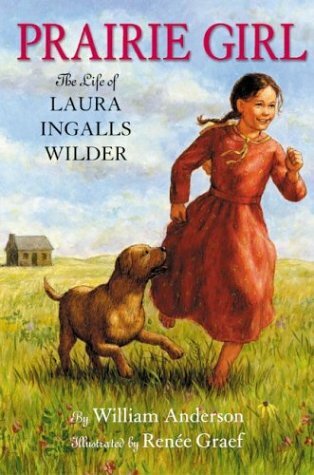 It’s nowhere near as engaging as Laura Ingalls Wilder’s own writing, but it is a very simple and approachable biography for a child and a great introduction to her biography for an adult. It very straightforwardly addresses tragic events (like the deaths of Laura’s infant brother and later her infant son), which seemed to go over well for my daughter. It helped put the fiction books into context for me and understand how Laura herself could say the “stories” were “true” without being works of nonfiction, and I learned a lot about her adult life. It seems strange, in a way, to think of adult Laura owing a car — in my mind she’s always the little girl in the covered wagon or the teen in a buggy with Almanzo, her suitor. In any case, this is a lot of rambling today but I wanted to share my first book of the year! I got an overall positive feeling from the book and now I’m interested in reading a biography of hers written for adults rather than children.